Every weekend counts, and road trip season is here to stay--for a while. Before you grab your friends and go, you’ve got some spring cleaning to do. Cleaning and detailing your vehicle should never be a chore, and when you’ve got the whole team here at Auto Depot Sudbury, all you need to do is drop your new car, SUV, or truck off, and we’ll take care of the rest! Here’s why spring cleaning should go beyond the garage this spring. Sure, you may have bought your car fairly recently, but nothing screams neglect like a vehicle streaked with salt. Under the sun, you want your vehicle to sparkle, not fall flat. Road salt might help you stay on track on icy roads in the winter, but it’s actually super corrosive, and if it’s not taken care of, it can take the paint right off your vehicle, not to mention, contribute to rust. An auto detailing job by Auto Depot Sudbury ensures that no streak is left behind! We don’t just wash away what’s on the outside--salt is easily sprayed up into the undercarriage of your vehicle while driving at high speeds, and it often stays there until it’s discovered too late. 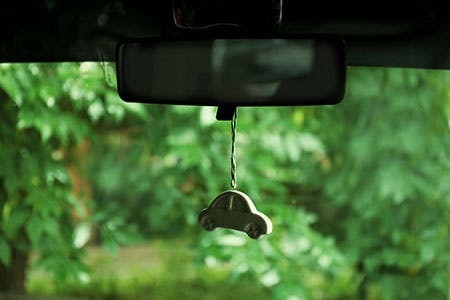 Much like you throw the windows open in your house to let the fresh air in, the same should be done for your vehicle, after driving with the windows up for months. 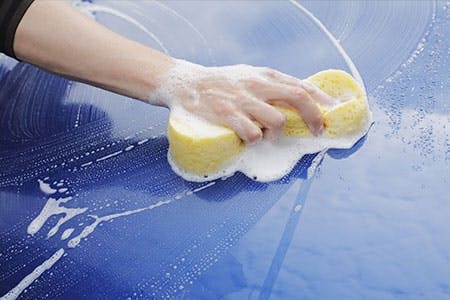 Auto detailing ensures a new air filter is installed, and everything from the seats to the dashboard are thoroughly cleaned, by vacuuming, shampooing, and drying. And don’t worry--we won’t tell anyone how many Tim Hortons’ cups we threw out in the process. Auto Depot Sudbury’s Detail Depot offers premium, professional detailing services. 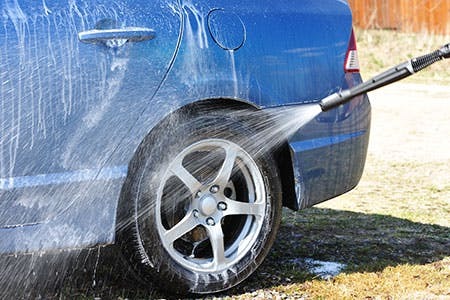 Our expert auto detailing staff take care of everything that an automatic car wash simply can’t: washing, waxing and polishing the exterior; cleaning and detailing the interior, and at the same time, providing full-disclosure on any potential problem areas, while offering cost-effective solutions. Our Depot Detail special starts at just $99.00 and our Shampoo + Wax special starts at just $189.00. We also offer a wide range of additional professional detailing services including paint buffing, headlight restoration, odor removal, and pet hair removal. Professional auto detailing is guaranteed to save you time and money, because by giving your car a little TLC this spring, you’re taking care of minor issues, before they become bigger problems that won’t be too friendly on your wallet. Auto Depot Sudbury is pleased to offer our loyal customers two convenient locations where you can enjoy our Detail Depot. Call us today at (705) 586-2277 to book an auto detailing appointment at our Falconbridge Rd. location, and at (705) 673-6079 to enjoy the same high-quality service at our Kingsway location.